Hi, everybody! 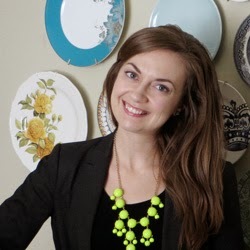 I'm Paige from Little Nostalgia and I don't know about you, but I'm trying to force winter out of here by doing springtime DIY projects. Ha ha. It might be a fool's errand, and Mother Nature probably won't be swayed by my efforts, but at least it's easier to think about sunshine and green grass when I'm sorting through river rocks at the dining room table. Ignore that wintry mix (or worse) outside! Let's think ahead to days that are warm enough for lounging outside with a drink. At least we'll have some coasters ready to go. 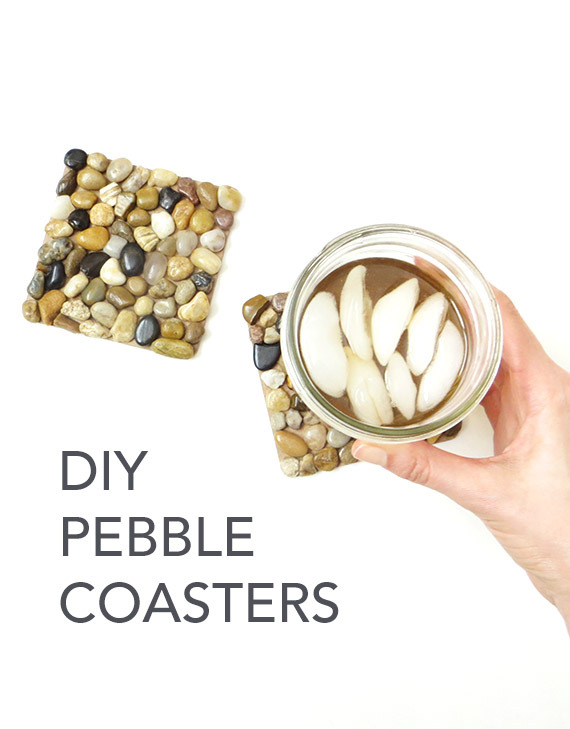 Step 1: Sort your pebbles. 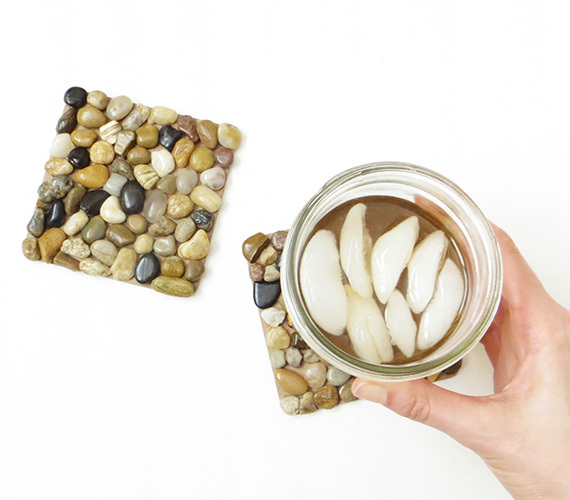 This part is important, because if you don't sort your pebbles into groups of the same approximate thickness, your glass will be wobbly on top of the coaster. And that's no fun. You don't need to agonize over each one with a ruler or anything, just eyeball it. Just a heads up: this part will be kind of tedious. It's a good activity to do while you catch up on Top Chef or listen to that podcast you keep forgetting about. 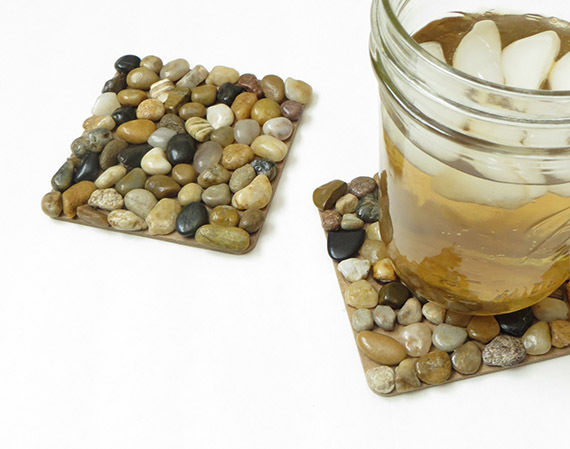 When you've sorted enough pebbles for your coasters, it's time to start gluing them down. Start in the middle of the coaster and work your way out, like a flower in bloom. 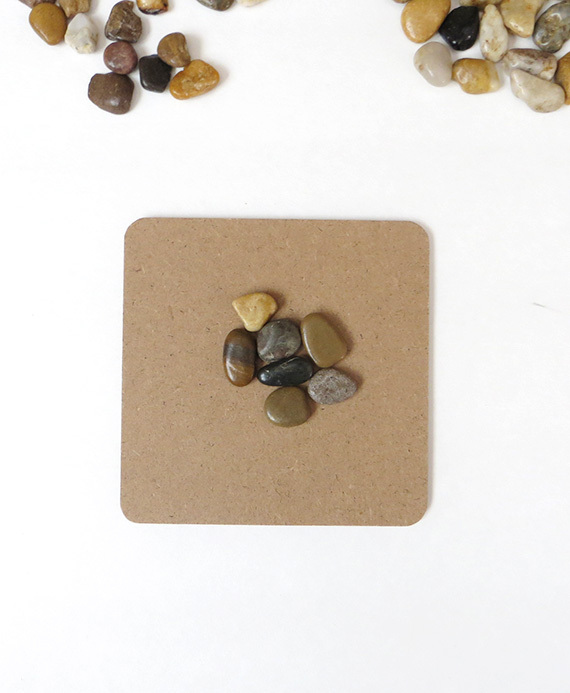 The pebbles won't fit together perfectly, and there may be little gaps between some of them, but those imperfections are what I like about using natural materials. Focus on matching up similar sides instead of looking for puzzle-like accuracy (because there won't be any). Glue, glue, glue. This part can ALSO be a little slow, so go ahead and keep that Netflix playing while you work. After adding a blob of pebbles to the middle, I picked an edge and started working toward it. 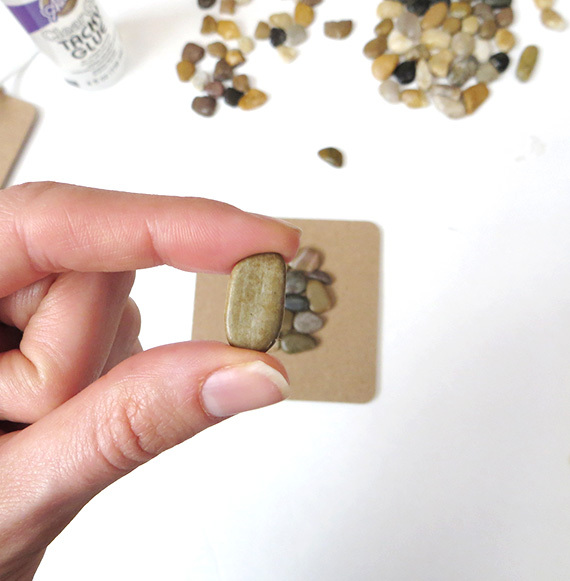 Keep some smaller pebbles off to the side to use at the very end. You may need to fill in some little spaces along the edges. Step 4: Pour yourself a drink. After all of the pebbles have been glued down and the entire coaster surface is covered, let everything dry overnight. Then bust out some celebratory iced tea because you're done! 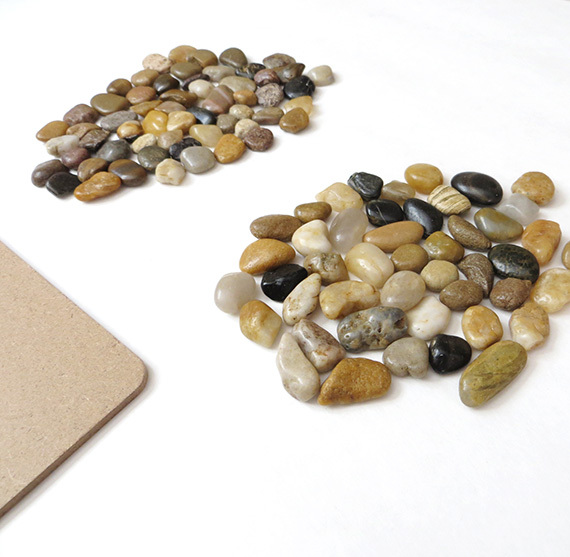 When I decided to make pebble coasters, I thought the materials might be kind of pricey, especially the rocks, but they were NOT. I spent less than $5 total on the supplies from Jo-Ann's - but you can even pick up supplies on Amazon very inexpensively! This is one of those sneaky DIY projects that looks way more expensive than it is. My husband saw these on my desk and thought I bought them. Victory! 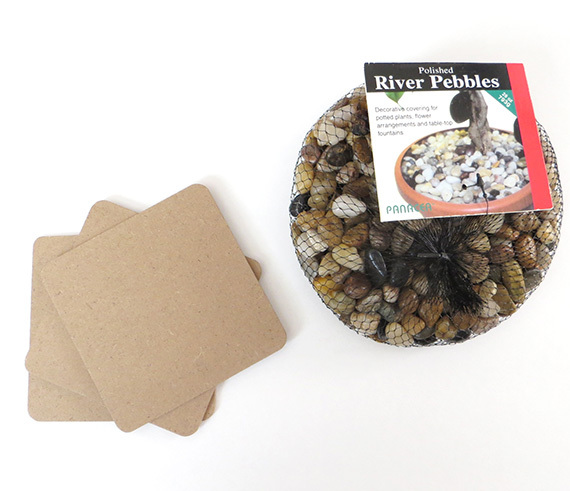 What projects have you made using pebbles? 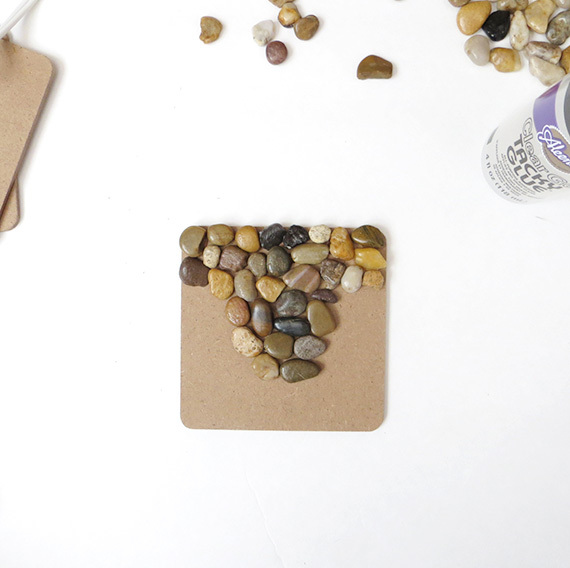 Are you ready for springtime crafts, too?